Formerly Sustenex ~ New Name Same Great Product! Whether you're looking for daily support to help maintain long-term digestive health, or you have specific digestive needs, you want a solution that works. 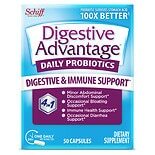 * Digestive Advantage offers a complete line of probiotic formulas, including daily probiotic supplements available as capsules, gummies, and chews. 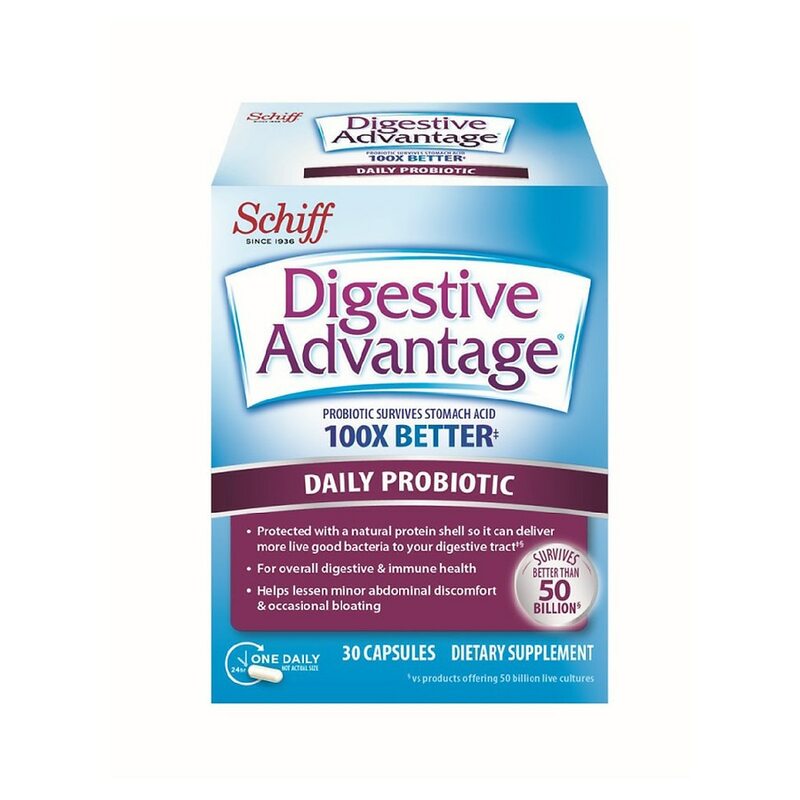 Digestive Advantage addresses specific digestive issues with 4 specially targeted formulations. No matter what your specific need or digestive concern, you'll find the solution with Digestive Advantage. Schiff Quality: No added sugar (sucrose, fructose, lactose), salt (sodium chloride), yeast, wheat or gluten. No preservatives or artificial flavors. ^Based on median percentage survivability of Digestive Advantage vs. probiotic supplements and 20 probiotic yogurts in simulated gastric pH for 2 hours. Your satisfaction is important to us. If you are not 100% satisfied with Sustenex, simply return the UPC code from this package along with your original sales receipt for a full refund. See enclosed instruction sheet for full details. Adults 18 and over take 1 capsule daily with water. Store in a cool, dry place.